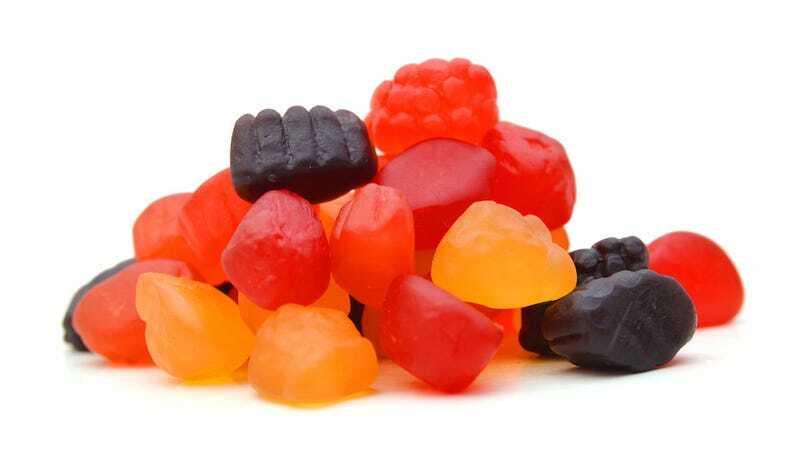 Two women have filed a class action lawsuit against Welch’s fruit snacks for their misleading marketing practices, which suggest that Welch’s fruit snacks are healthy and good for you when they’re really “just as bad as a pack of Gummy Bears,” Slate reports. And it’s not just Welch’s: Annie’s Homegrown Organic Bunny Snacks, which are all the rage amongst parents who shop at vegetarian co-ops and feed their kids only the most natural ingredients, also have potentially less nutritional value than a pack of sugar-coated gummies. Annie’s Fruit Snacks, on the other hand, list “organic tapioca syrup” as the first ingredient, which sounds healthy but is basically just sugar made from the cassava plant. The next two ingredients are organic cane sugar and organic tapioca syrup solids—more sugar. (But aren’t we relieved it was organically grown?) Looking at Welch’s: Up until recently, most flavors listed “fruit juices from concentrate” as the first ingredient, which the U.S. Department of Agriculture considers yet another synonym for added sugar. This summer, though, Welch’s changed the formulation of many flavors and now uses “fruit puree” as a first ingredient. Still, fruit purees are often very high in sugar. And, anyway, the next two ingredients on the list are corn syrup and sugar. What about those vitamins, though? The two women who filed the lawsuit against Welch’s have that covered as well: According to the complaint, the company is being accused of illegally trying to pass their food off as “good for you” by fortifying it with vitamins and minerals to fool consumers into a false sense of comfort. Plus, according to Slate, vitamin C is commonly used as a preservative, so any claims that Welch’s and its competitors’ snacks are “preservative-free” may just be hot air. And there’s one more important thing you should know before you buy your kid a family-sized box of these at Costco or pick some up for an afternoon snack: you’re paying a premium for being lied to. For what they are, they’re crazy expensive. At my local grocery store, I can buy 14 ounces of Haribo Gold-Bears for $2.99. By comparison, nine ounces of Welch’s Fruit Snacks cost $2.89, and a mere four ounces of Annie’s Fruit Snacks cost $3.99. That makes Annie’s snacks almost five times more expensive than the candy they so closely resemble. But what parent wants to be shunned by their contemporaries for sending undisguised candy to school with their kids? It’s much easier just to pretend that fruit snacks are healthy and be done with it. Or maybe just send that kid to school with an apple. Yeah, an actual pear is going to be much more boring than a pear-flavored gummy, but kids need to learn about the disappointment of actually eating healthy early in life.